picking up their copies. They were either College of William and Mary graduates who had left the area, or those who were just refusing to receive their copies. In those day, subscription payment was not before your subscription, but after! So the abandonment of copies, was usually considered an attempt to not pay a debt. The Southern Pioneer was an Universalist publication that was ran from 1831 to 1835, starting in Richmond, Virginia and Baltimore, Maryland. So to the students in Williamsburg, it was a semi-local paper. and then fled without paying their bills, or even if some later paid up. But because the letter is avilable, I decided to list the names of these 14 students, who were behaving badly back in 1832. Thomas P. Giles Class of 1832 from Amelia, son of Gov William B. Giles. (c1813- ) is not to be confused with his half-brother Thomas Tabb Giles, or the Thomas Giles from South Carolina. Luckily the College said he was the son of the Governor, so we know which Thomas Giles he was. The Govenor had been a co-founder of the "Thomas Payne Infidel Club", some of which may be due to living in Paineville. 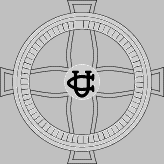 The Governor was an active member of the Episcopal Church. Thomas P. Giles' daughter, Elizabeth Peyton Giles is mention is Mary Chestnut's diary. distant kin to the Universalists at Outlaw's Bridge (and even more extremely distant kin to this writer). P.C. Lightfoot Class of 1832 from Buckingham - Possibly Carter Lightfoot. The only son of Robert Greenhow who fits is James "Washington" Greenhow (1817-1849), newspaper editor in Petersburg. Nominated but declined appointment to be consul in Argentina in 1847.
late 1830s, may have lived in Mississippi for a few years in the early 1840s. William G. Young, Class of 1832, son of John Young of Denbigh, Warwick (the location is now a neighborhood in Newport News). He is likely the William G. Young who actually owned the community of Denbigh in the 1860s - it was a working plantation and the former home of Colonial Governor Samuel Mathews Junior. So, these were rich kids used to getting their way. Not surprising to see Episcopalians, as that was the church of the ruling elite in the South in those days, and these kids were being groomed to be just that. If you wanted to succeed at politics or buisness, you went to the right church. Missing from this list was James Lewis Corbin Griffin (1814 - 1878) was was a William And Mary student from 1826 to 1828, and 1829 to 1833. A local boy, from proniment family, who after graduation becomes a Methodist preacher, and a teacher - and later an Universalist minister. He recieved an honorary MA degree from William and Mary in 1854. Did he see a copy of the Southern Pioneer that his fellow students may have actually accepted from the Post Office?